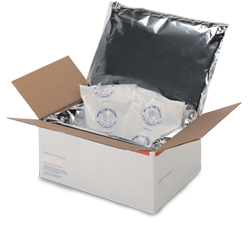 Insulated pad set made to fit the Medium 11″X8.5″X5.5″ USPS Flat Rate shipper! 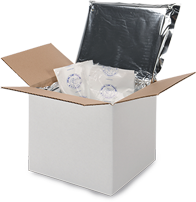 This pad set is easy to use and great for sending temperature sensitive goods like chocolate to family and friends! 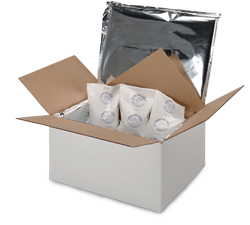 The kit includes two 12-ounce Gel Paks, perfect for keeping things cool. The load space of the box will be 9″X6.5″X3.5″ once the pad set is inserted into the box. 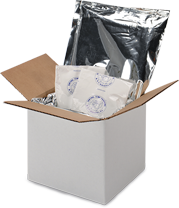 Packing suggestions are included to make shipping less stressful! Insulated pad set made to fit the medium 11″X8.5″X5.5″ USPS Flat Rate box! Includes two 12-ounce Gel Paks! 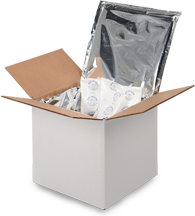 Includes packing tips to make sure your shipment is a success! The box is NOT included in the kit. The box must be acquired from the United States Postal Service. R.N.C. Industries is in no way affiliated with the United States Postal Service.